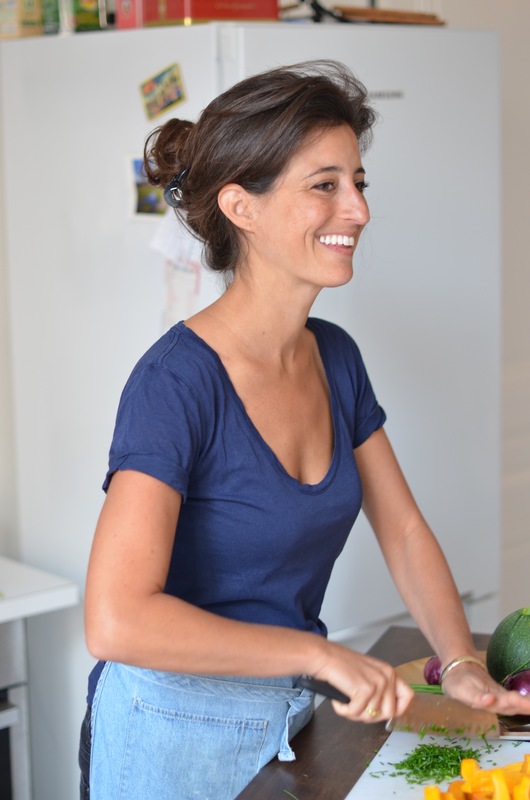 Fork Life & Spoon | Jamie Berk is a certified holistic nutrition consultant offering in person and online nutrition counseling, group classes and cooking workshops. Working in food and health for over a decade, Jamie aims to inspire people to reclaim their relationship with food and to find the diet and lifestyle choices that support optimal balance. I am a food person: food and health, food and pleasure, food and travel, food and culture. In some way or another it has always been a focus. My love of cooking started early, watching and learning from the many inspired cooks that whipped up deliciousness each in their own unique style. In college it was my stress relief (read: procrastination), as an adult sharing and exploring food was huge part of my relationships with people (I have forced family style eating on the least likely candidates) and overtime it became part of my identity ( in Berlin someone even called me FoodFrau). In the meantime I started to experience first hand how simple changes could have profound effects. I was experimenting on my own body, and I realized that we barely knew each other. It was right around this time that I quit being vegetarian, because I wanted to taste EVERYTHING. I began to see how what I ate changed my body, my behavior and ultimately my life. But I was still hungry. Studying public health in Berlin allowed me to zoom out. I became fascinated with health behaviors: why people make decisions to do what they do when they know what they know. When I relocated to Lyon I was pleased to find that food was always a part of the conversation but the idea of “healthy” eating was considered a relatively new and imported topic. One of the first things I was told when we moved to Cape Town was that the braai ( barbecue) is the one tradition that is shared by all of the diverse populations of South Africa- a communal meal centered around a fire. After a decade of working in food and health, I am still amazed that the simple meal can represent a complex system of knowledge, economics, politics, and emotions. It is this complexity that motivates all of my projects. Considering food, the body, and wellness in an ever-changing holistic way allows for many paths to the same goal. Then the real work is choosing the best and most realistic route at a given moment. That’s where I’d like to jump in and lend a hand. Food exploration, health and nutrition counseling. © 2015 Jamie Berk, All Rights Reserved.